We are pleased to announce new software for mapping your land and lease project data. 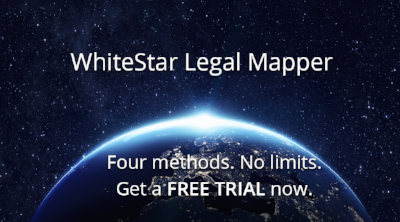 WhiteStar Legal Mapper (WLM) is now available as a cloud based “Software as a Service.” WLM calculates land polygons and well locations based upon legal descriptions in the Public Land Survey System. Quarters, quarter-quarter, and lot descriptions are supported. Automated metes and bounds mapping and workflow capabilities via the cloud are also under development for release later this year. Land descriptions can be mapped either singly on WhiteStar Cloud or singly using an add-on button inside ArcMap or ArcGIS Pro. WhiteStar Cloud or a Safe Software FME transformer can be used for batch mode calculations. All four methods reference our pre-loaded data libraries to generate the land polygons. Push a single button inside ArcGIS Pro or ArcMap to plot single polygons on your map. No pre-existing local land grid installation or loading process is required. You may map an unlimited number of descriptions without incurring additional fees. The WLM Plus version adds WhiteStar Streaming Grid and is supported by popular software applications. The “full meal deal” WLM Pro version adds streaming access to WhiteStar Lots, Tracts and Quarter Quarter data for one user specified state as well as an API that can be incorporated into your intranet or accessed from another program. Additional WhiteStar Lot, Tract and Quarter-Quarter states are also available for licensing. These states include many states available nowhere else including CO, NM, UT, OK, KS, WY, MT, AR, ND, LA, MS, and AL. WhiteStar offers all the software and data necessary to create your business critical, strategic GIS land database for any project. We have done just this sort of thing for a variety of companies including the Forbes Fortune 200 companies. WhiteStar will help you to accurately convert land title deeds into maps. We have an internal team of expert mappers capable of mapping even the most complex legal descriptions to help drive your project to completion. To support the GIS land database creation efforts, WhiteStar offers the most accurate base mapping data including WhiteStar Grid, WhiteStar Lots, Tracts and Quarter-Quarters, WhiteStar Parcels, and imagery.